Pregnancy comes with loads of memmories. The most important stage is the postpartum where in a female is physically stressed.Its our mom (or I should rather say grand mother) who comes into picture by supporting us in all possible aspects. One such support is given in the form of post partum food. 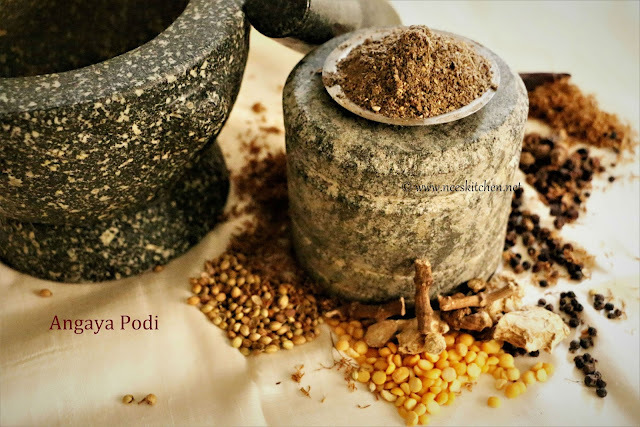 Though I was served with varieties of postpartum food, one such recipe which I would cherish always is the Angaya Podi with ghee rice. 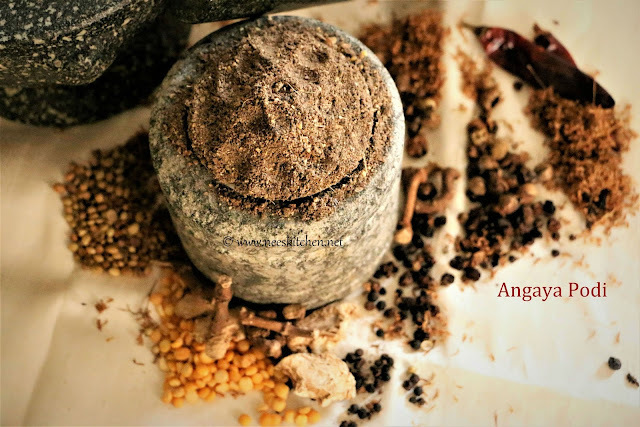 Angaya Podi includes a lot of spices and each of them have there own health benefits. Angaya Podi is also consumed during digestive disorders and highly recommended for people with diabetes. There are various proportions in which this dish is prepared but this is the one which I flicked from my mother’s diary which was given to her when she delivered me and to myself when I delivered my girl. Angaya Podi is mixed with hot rice and ghee. Chennai - Dabba Chetty shop in Mylapore- All ingredients. Arisi thipli – To generate body heat. Hing Powder – A generous pinch. 1. Dry roast all the ingredients above individually except salt and hing powder. You may also refer to my video to combine few of them and dry roast. 2. 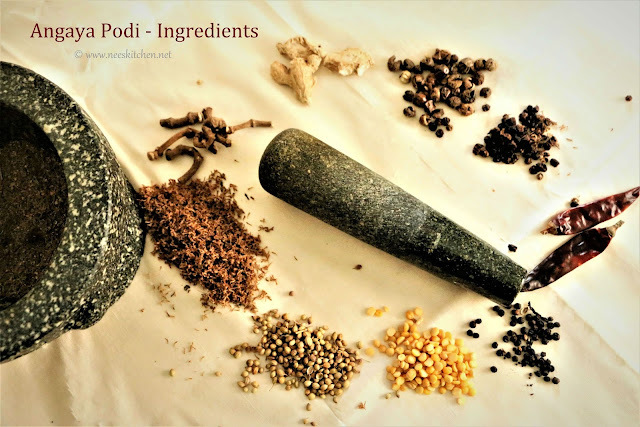 Powder it in a mortar pestle or mixie along with hing powder and salt. 3. Serve with rice and ghee.